It’s never too late or too early to start taking care of your skin but how to begin this journey, you ask? It’s simple, stick to the basics and get it right. In your 20s you can afford to be carefree, but a little caution to the wind is advisable. Let’s begin with our easy tips on how to take care of your skin right in one of the most exciting phases of your life. 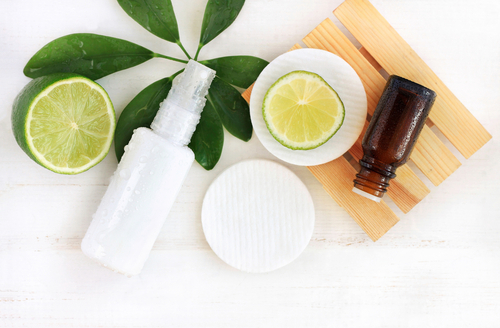 Skin care is an important part of your daily routine that you should follow seriously from your adulthood, as healthy skin is a sign of happy you. Read on, lovelies! If you’re wondering why the stars all look so much better than the rest of us? Well, that is because they have the best products and treatments and they aren’t cheap. Save up every month and invest in really good products, after all, it’s never a good idea to use bad quality makeup or creams on your skin. 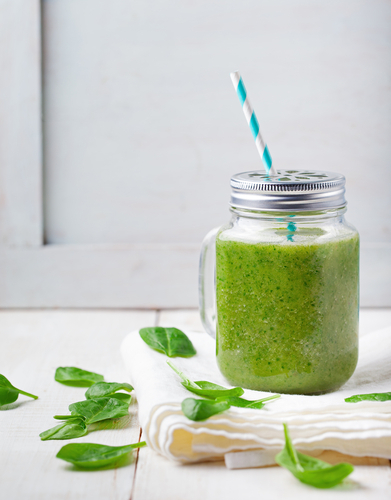 Not all of us have the resources to make Gwyneth Paltrow’s infamous smoothie, but there are tons of green smoothie recipes out there, that really work. Countless bloggers, celebrities and the like say just how effective these drinks are and that’s because raw vegetables and fruits are full of healthy nutrients, vitamins and antioxidants which gives you beautiful looking skin. The big tip – skip the dairy, instead opt for nut milk or coconut water as the smoothie base. Just like good underwear, great skin is all about the foundation, literally and figuratively. 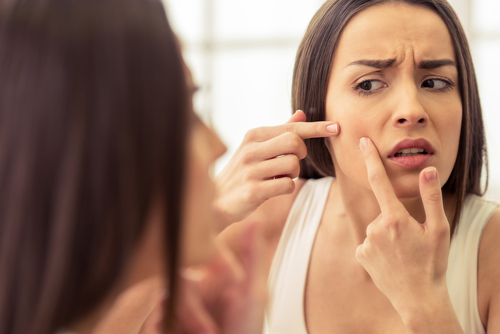 If you’re still dealing with adult acne or scarring, it may be hard to stay off the foundation. However, the easiest way to look after your skin is to keep it clean, which means not packing on layers upon layers of makeup. Get a good BB cream or mix some foundation with your face cream so you get the coverage you want, yet keeping it light and hydrating. It’s so easy to be lazy and we get that you want to keep your eyeliner perfect all day. Yet, with pollution, sweat, makeup and the general dirt and grime, your face needs to be washed at least twice a day. Get a great smelling and feeling face wash that really refreshes you, which is incentive enough to make it a habit. If you’re on the other side of things and using too many beauty products, then it is probably a good time to go easy. Your skin is at its healthiest and most functional in your 20s, your job is to nourish it and that means keeping it simple. Don’t buy every miracle product out there, stick to the few you like and when your 30s hit you, then it’s time to up the ante. 6. Put On a Hat! If you’re going to be running around all day in the sun, then remember to carry an umbrella or hat. The sun causes all sorts of damage from spots, burns, discoloration, dehydration, peeling etc. A cute cap or umbrella will save you from those harsh rays. Of course, if you’re a beauty guru like we know you are, you’ll also slather on that sunscreen, which as you know, is still the single best beauty product out there. Whether you chose to do this in the morning or before bed, a quick and gentle massage with your best moisturiser is important. Remember to always massage in circles and an upward motion, working the cream into your skin. The cream will keep skin supple whereas the massage will circulate oxygen and invigorate tired muscles and skin cells. If you’ve been doing the same thing since your high-school days, it is time to change. Find products that work for your skin type and get a simple to follow routine that you know you will stick to. It is okay to skip a few days here and there, but the sooner you make a practice of taking care of your skin, the longer your skin will look youthful. Maybe we haven’t said it enough, so we’ll say it again, at the end of the day - whether you’ve got bucket loads of makeup on or just a little mascara, take it all off. Get yourself a good cleanser and face wash and no matter how lazy you get, remove your makeup. Then you may sleep peacefully, besides, don’t you want to take that #IWokeUpLikeThis selfie, without looking like a raccoon? Sometimes, we spend so much on that one product that even if it really doesn’t suit our skin, we still use it. There is no harm in passing it off to friends or the other ladies in your household. If your products are causing you more breakouts or your skin feels dry, it’s better to quit while you’re ahead.